Growing up within the financial world, two things I’ve learned quickly are that: 1. “time is of the essence” and 2. a quick and good breakfast in the morning is essential, especially if you are at your job more than 8h a day, like I am. Whether than means making your own breakfast at home or grabbing something in transit, either way – one needs a satisfying meal to make it through the morning (even more so if you’re hungover). 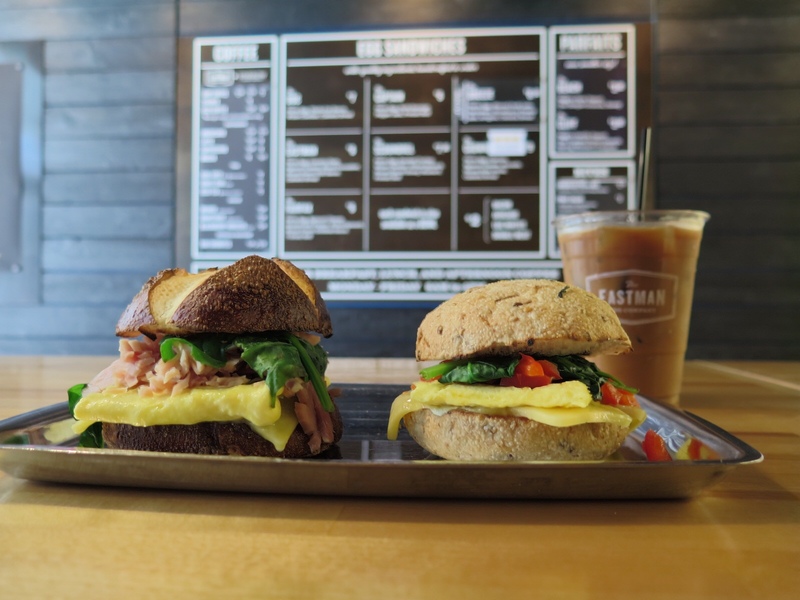 Started by real business people with prior breakfast sandwich-eating experience, the Eastman Egg Company totally gets this concept. 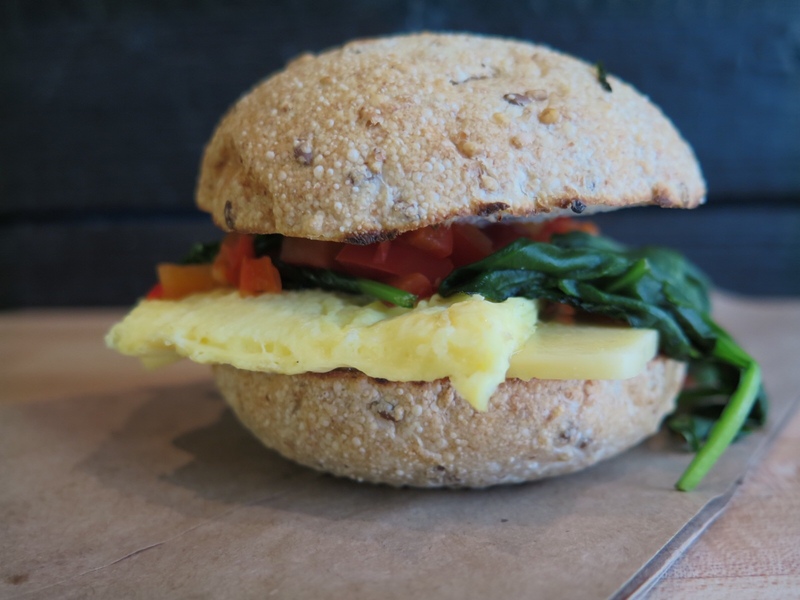 Located right downtown, EEC offers made-to-order farm-fresh egg sandwiches and craft coffee, all in under five minutes. I mean, who has time to wait around for breakfast, especially when the CTA is always late and the weather is unpredictable? Not me or anyone else who is on their way to work. 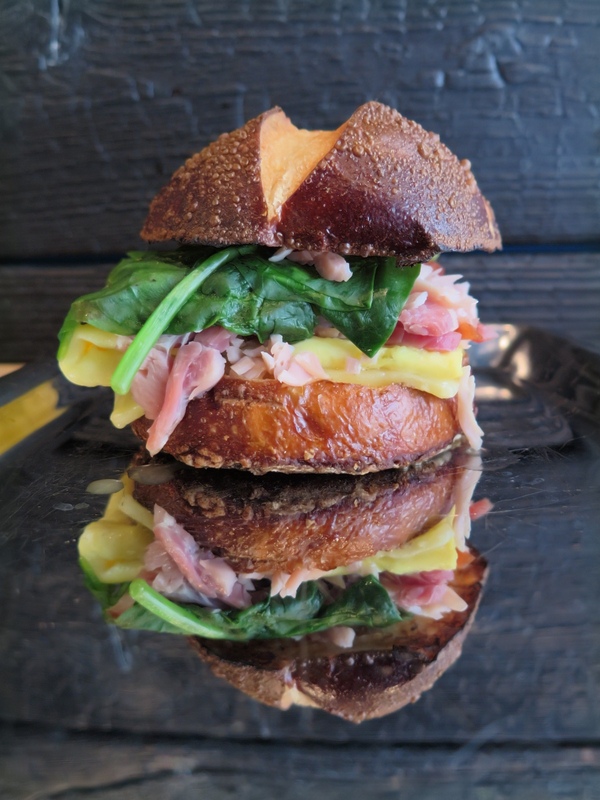 Sourcing the eggs and meat from Slagel Family Farm and their fluffy bread daily from La Farine in Logan Square, each sandwich is all-natural, hormone-free, and made with zero preservatives. And don’t worry, in case yolks aren’t your fancy, each of the sandwiches can be made with egg whites instead. For those who aren’t meat eaters or even want to have a lighter and greener breakfast, the Fairfax contains a farm-egg, a thick slice of Egmont cheese, sauteed bell pepper, wilted spinach, and green goddess sauce (greek yogurt, olive oil, salt mint, basil, cilantro) on top of a 7-grain roll. Instead of the normal protein shake or bowl of oatmeal, consider a local favorite, the Scoundrel. This heavier handheld features a farm egg, shards of smoked turkey, white cheddar cheese, wilted spinach, and house-spiced honey mustard sandwiched between a salty pretzel roll. A perfect way to hold you over until your mid-morning snack. Even their brews, from local Sparrow Coffee, are dripped daily and available with multi- flavored creams. On and off the menu creations include “black,” vanilla, mocha, “teddy graham,” made with vanilla and honey, and the seasonal gingerbread, containing gingerbread milk (holy yum). For customers who enjoy their caffeine chilled, EEC drops their hot brewed coffee into low pressured nitrogen. By adding this specific element, oxygen bubbles are eliminated, and the integrity of the coffee remains as it was originally brewed. Not only did I enjoy the products and atmosphere of EEC, but the overall concept is brilliant. Because the owners have a background in business and fast-paced-breakfast-eating, it was a no brainer on how to fix the morning deficiency. EEC satisfies a need for so many who just want real, fast, and downright tasty food. Take my advice, skip the Mickey D’s and Corner Bakery and head to EEC. Previous Post I Want Candy! 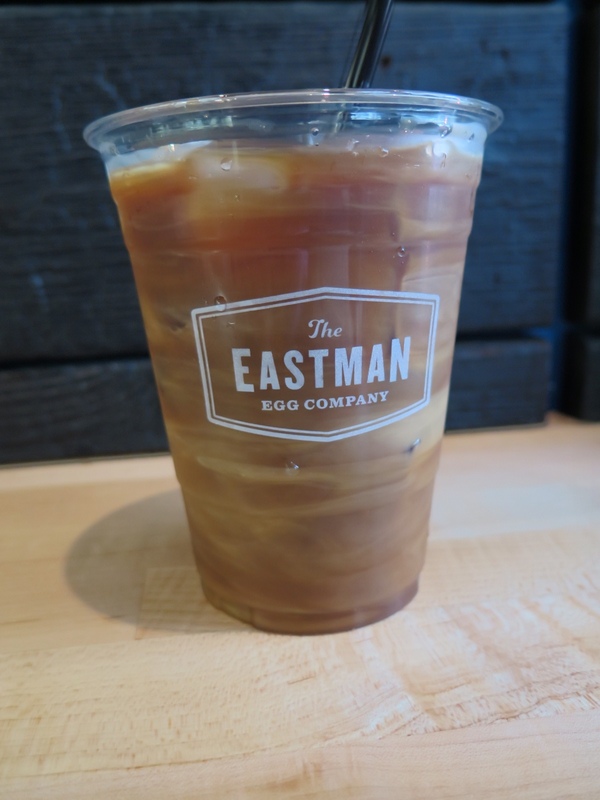 Pingback: Real Eggs, Real People – The Eastman Egg Company | Better Mornings Start Here.